Victor Manuel Lemagne Sánchez, a high-ranking union leader representing workers in Cuba’s hotel and tourism industry and also an elected deputy in that country’s National Assembly of People’s Power, was greeted in Baltimore on July 10 by a packed meeting of enthusiastic community, youth and union activists. President David McClure of the Amalgamated Transit Workers Local 1300 opened the meeting by welcoming everyone to the union hall. He described some of the struggles his membership is engaged in, along with bus riders in Baltimore. Sharon Black, an organizer with the Peoples Power Assembly here who chaired the gathering, called up three very important representatives to formally greet Lemagne Sánchez: Fred Mason, former president of the Maryland/District of Columbia AFL-CIO Council; Jermaine Jones, president of the Baltimore Metropolitan AFL-CIO; and Basma Gregg, 19, representing youth of the Peoples Power Assembly and Workers World Party. Gregg presented Lemagne Sánchez with the book “El capitalismo en un callejón sin salida/Capitalism at a Dead End.” She explained how youth in Baltimore, especially Black youth, must endure unemployment, racism and police terror. Lemagne Sánchez presented an in-depth slide presentation on the U.S. blockade of Cuba and also shared some impressions of his coast-to-coast trip meeting union members in the United States. He explained how one woman told him she had to pay $200,000 for open-heart surgery, while if she lived in Cuba she would receive medical care for free. 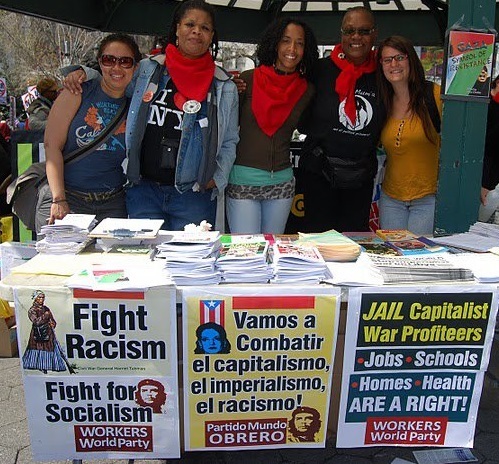 Lee Patterson of Workers World Party thanked Cuba for giving asylum to Black Liberation exile Assata Shakur. 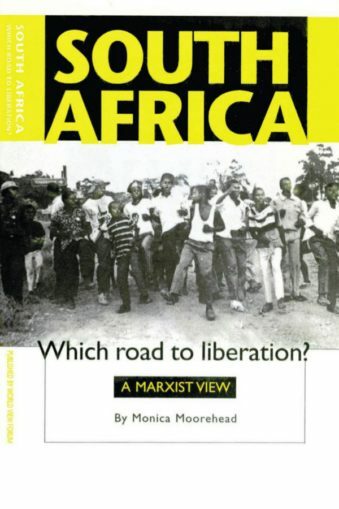 Dr. Ken Morgan, a Cuba solidarity activist, asked Lemagne Sánchez about Cuba’s policies on racism. The next day, approximately 35 to 40 Baltimore union leaders met with Lemagne Sánchez in the large conference room of the Service Employees Union in downtown Baltimore. SEIU 1199 represents nursing home and hospital workers in the city, the largest being Johns Hopkins and Mount Sinai hospitals. Among those greeting the Cuban labor leader were Fred Mason, president emeritus of the Maryland/DC AFL-CIO; Courtney Jenkins, president of the Baltimore Coalition of Black Trade Unionists and member of American Postal Workers Union Local 181; the Rev. 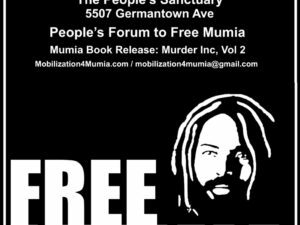 Cortly “C.D.” Witherspoon of the Peoples Power Assembly; Lena Redman of Workers United; David McClure, president of Amalgamated Transit Union Local 1300; Royce Adams of the International Longshoremen’s Association; and Ricarra Jones, political organizer with SEIU 1199. Of special significance is the fact that many of the labor leaders at the reception have led delegations to Cuba in the past, including Fred Mason and Mike Smith of the National Association of Letter Carriers. He added, to the applause of the audience, that Baltimore had been “the most attentive and exciting reception during my visit to the U.S.” The following day, he said, he would be returning to the National Assembly of People’s Power, Cuba’s legislative body, in which he participates as a delegate from the municipality of Trinidad. Lemagne Sánchez narrated a slide presentation on the structure and functions of the Central Union of Cuban Workers (CTC) in which he emphasized the three major ongoing goals of the organization: (1) organizing the development of the economy and enhancing the productive capacity of the workers, (2) providing ideological education for the workers, and (3) increasing the role of women in unions and Cuban society in general. He explained that there are 16 national unions in the CTC with more than 2.9 million workers. Of those, 2.7 million are employees of the state. Altogether, more than 90 percent of Cuban workers are organized in the CTC. Asked if this is compulsory, Brother Lemagne Sánchez explained that union membership is voluntary. The union leaders at the base are responsible for both recruiting as well as accepting the dues from each member by hand. The CTC has a congress that is elected every four years. At the base level, union leaders are elected every two and a half years by secret ballot, and at the leadership level they are elected every five years, including the president of the CTC. At the last congress of the CTC, its 20th, the two main resolutions discussed and passed were to mobilize the workers ideologically in the present stage of Cuban socialism, and to increase productivity with the goal of greater efficiency, along with an increased amount of autonomy and flexibility in the workplace. As an example, he cited the case of women workers who have to drop their children off at schools. The time they have to arrive at their workplaces was adjusted. 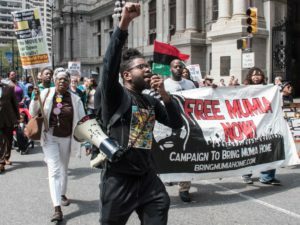 Immediately following the union luncheon, despite 106-degree weather, Lemagne Sánchez traveled with activists to the site where Freddie Gray was beaten and arrested by police before he died in 2015. The Rev. C.D. Witherspoon, who lives in the neighborhood, welcomed the Cuban unionist. Courtney Jenkins of the American Postal Workers Union and the Coalition of Black Trade Unionists explained that he grew up in this community. Mike Smith from the National Association of Letter Carriers, who is also an official with the Baltimore Metropolitan AFL-CIO Council, explained that Freddie Gray’s sister was a member of his union. 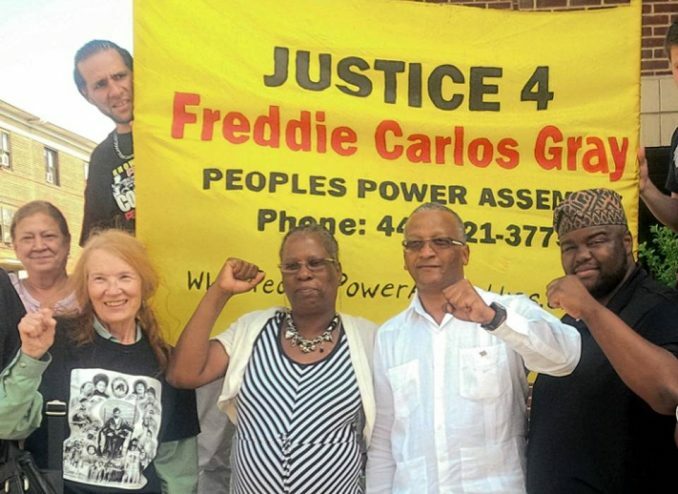 The group presented Lemagne Sánchez with a Peoples Power Assembly banner reading “Justice for Freddie Gray” that had been in the forefront of countless demonstrations during the period after Gray’s death.